Want to protect our country from Trump & the GOP? Want healthcare? A livable planet? Democracy? Join us to learn how you can get involved and TAKE BACK THE HOUSE & SENATE on November 6th! 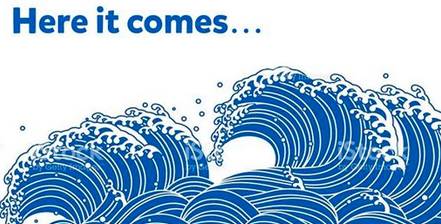 Because the blue wave isn't bringing itself, nor will our Democracy fix itself-- WE have to do the work. We will also hear from SD22 Democratic candidate Andrew Gounardes. All are welcome to this meeting-- whether you have experience or are new to activism, we all have a part to play. We'll have a canvassing training, text banking for beginners and practiced texters and phone banking for Liuba Grechen Shirley (candidate NY-2) + lots of information about how you can get Democrats elected over the next month. Check in will start at 6:45 so we can get to work right at 7:00! GOBK Fall Meeting: Countdown to the Midterms!